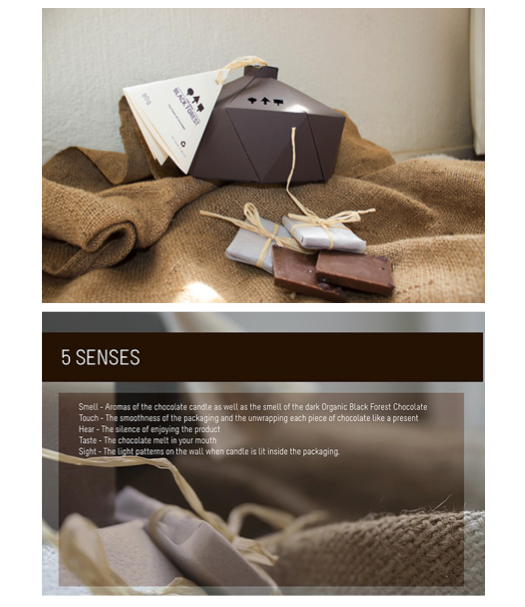 Experiential packaging involves the use of typography, color, imagery, and content to create a new environment and a truly unique experience for the consumer. By changing the way that clients interact with a product and making the experience more enjoyable, many companies have seen increased sales and more brand loyalty. Experiential packaging can serve as an effective sales tool by pulling the customer in. In order to use this design strategy most effectively, the packaging should be visually appealing, memorable, and provide an experience for the prospective buyer, before they even get to the product. By creating a sensory experience for your consumers, you can connect with them on a more personal level. We have highlighted some of our favorite examples of successful experiential package design, which uniquely engage with their consumers and stand apart from the rest. The Black Forest Chocolate packaging goes beyond presenting chocolate as a present (which this packaging also accomplishes). By focusing on all five senses, the consumer can create their own environment entirely focused on the appreciation of chocolate. The package includes chocolate to eat, a chocolate candle to smell, and by placing the candle inside the packaging, the light shines out of the logo cutouts to create a forest in the room while the consumer is enjoying their chocolate. 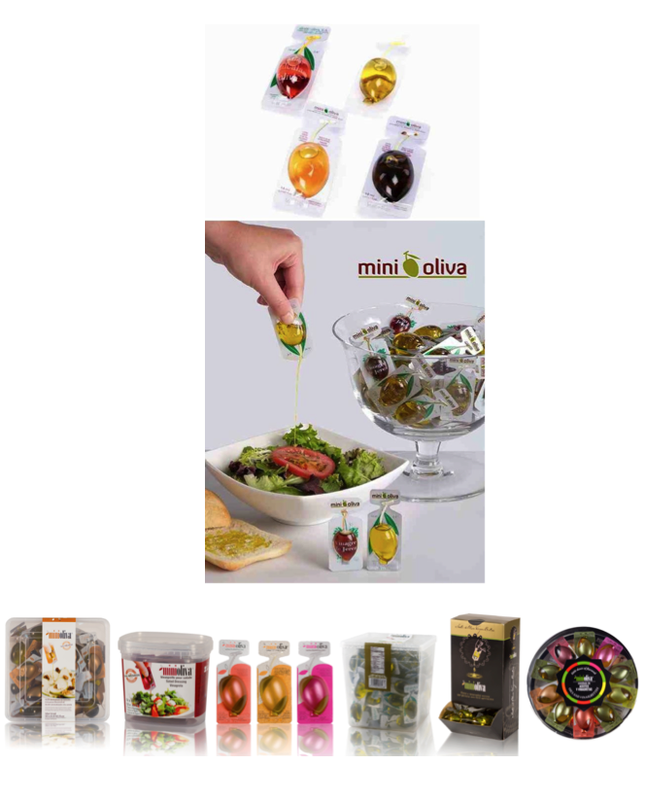 This award-winning experiential design makes these small olive oil packages more intriguing and attractive to consumers. The individual packages are user-friendly, enticing, and are the perfect size for vending machines and counter sales. La Vita’s marketing team also offers design services to help businesses create a unique presentation stand to further boost sales and entice consumers. What better way to advertise that these watches are waterproof than with this packaging? Berlin-based agency, Scholz & Friends, came up with the idea to pack the watch in a transparent bag filled with distilled water to prove that they are truly waterproof. After all, the company’s motto is “We believe in what we see”. By submerging the watch in water, it creates a visually appealing, shareable experience (and also makes for a unique gift). 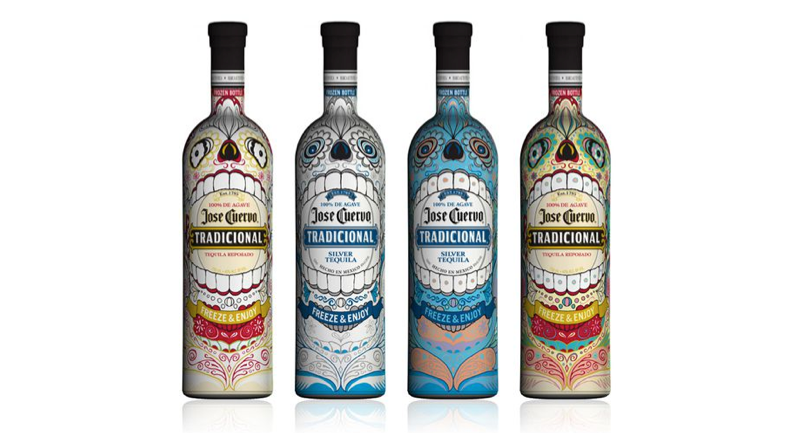 These limited edition Day of The Dead bottles feature a festive image that is reminiscent of tattoo art, which draws the consumer’s eye. The best part is that the color-changing bottles become more colorful and festive when the bottles are chilled, creating an experience for consumers. Khortytsa designed the bottles to connect with the millennial generation in order to increase sales both in store and in the bar/club scene. To complement one of the most popular sneaker designs ever released, Berlin-based agency, Scholz & Friends, realized they would truly have to do something “outside of the box”. They packaged the shoes in an air-tight plastic bag to appear as if the sneakers were floating in air. It immediately grabs a buyer’s attention, is highly shareable advertising, and even helps reduce the risk of damage from shipping. What are your favorite experiential package designs?